The price listed in this ad is not actual price because it is updated daily. Please check latest price and more info at https://aromabelia.com.au/products/aroma-diffuser-essential-oil-bracelet-20mm-5-designs-zezalia Aroma Diffuser Essential Oil Bracelet 20mm - 5 designs (Zevalia) Aromatherapy Bracelet Features: - 5 designs to choose - Unique bracelet diffuser - 8 diffuser pads included Because of high demand, the estimated delivery time for these products are between 20-45 days. 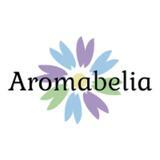 Essential Oil required and sold separately (not included with the necklace) Visit us at https://aromabelia.com.au to see more products. Instagram: @aromabelia (https://www.instagram.com/aromabelia/) Facebook: @aromabeliastoreaustralia (https://www.facebook.com/aromabeliastoreaustralia/) Twitter: @aromabelia (https://twitter.com/aromabelia) Name at the back of product name is a store product code and not the original product name.